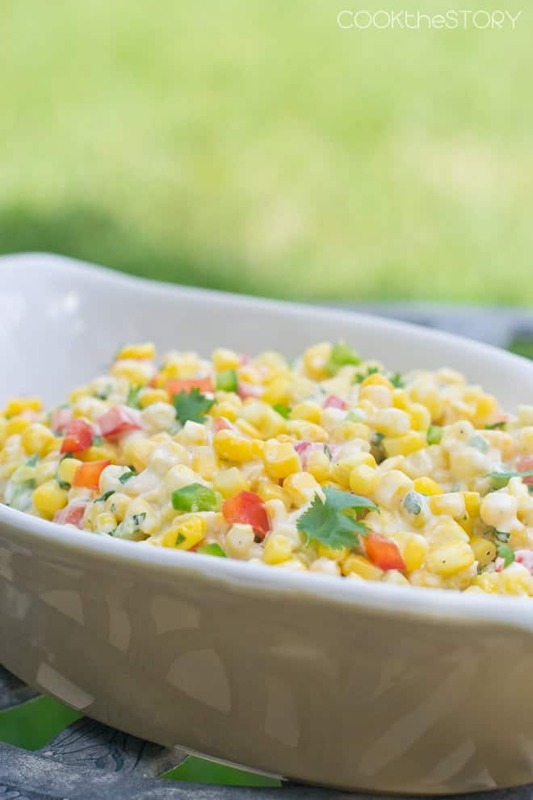 This summer corn salad recipe is sweet, creamy and spicy all at once. Perfect for your summer BBQs! This corn salad recipe is adapted from one I observed Kevin Bevington, BBQ champ extraordinaire, making at a BBQ class. I didn’t write anything down and so I had to recreate it from memory. Memory and my own twists (fresh jalapenos instead of jarred, the addition of cilantro, way less butter and cream cheese). The result was a perfect summer BBQ side dish. The recipe calls for defrosted frozen corn but if you have lots of cobs, grill them and then cut the kernels off. Such a great way to show off fresh corn. 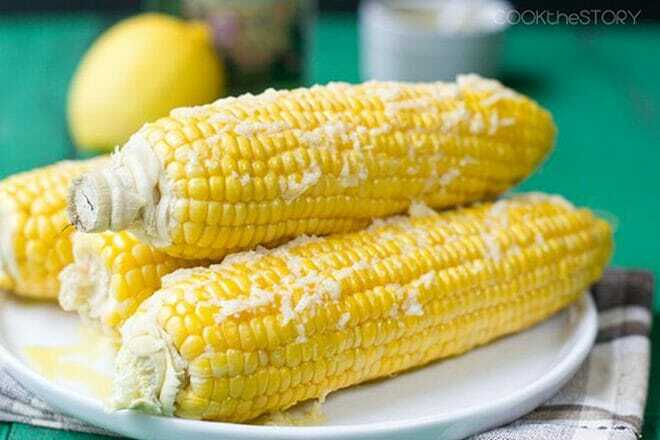 You can also use fresh corn that has been microwaved, here’s my Microwaved Corn on the Cob recipe. I usually serve this salad warm because the sauce is made of cream cheese and butter. If it’s cold, the butter coagulates a bit. Room temperature works too. But if you really want it fridge cold, skip the butter and use half cream cheese and half mayonnaise instead. I’m seriously obsessed with corn in the summer. 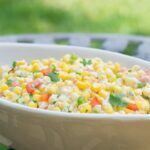 Enjoy this Summer corn salad recipe! 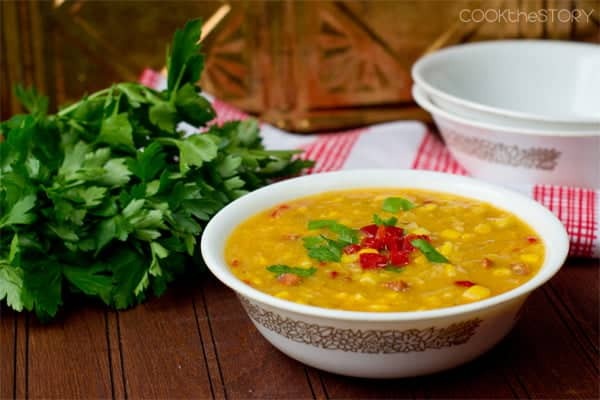 In a medium casserole dish, combine the corn, bell pepper, onion, jalapeno, cilantro, salt and pepper. Squeeze the cream cheese and butter into a microwave-safe dish. Microwave on high for 20 seconds. Stir. Repeat until the butter is melted and the cream cheese is soft. Stir for a while until they are fully incorporated together and smooth (not curdled-looking at all). Pour the hot sauce over the corn mixture. Stir. Serve at room temperature or cover and bake for 25-30 minutes, until heated through. 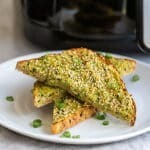 This recipe can be made ahead and then refrigerated before baking but it will then take a little bit longer to heat through. If you leave it in your fridge and forget about it until after the steaks are ready, no worries. You can heat it in the microwave! Two minutes on high then stir. Repeat until heated through. Note: if you choose to use corn on the cob, cook it first and then shave the kernels off. This post originally appeared in July, 2016 and was revised and republished in July 2018. You say to pre-heat oven and bake for 25-30 minutes, but if you are serving at room temp do you still bake it? Your photo doesn’t look like it is cooked. This looks so tasty! Perfect for a 4th of July picnic! Corn is popping up this week all around us, perfect timing for a tasty corn salad. Even better for the 4th this weekend! I agree, I can’t get enough fresh corn in the summer. This is really really good! What a delicious salad Christine! I love fresh corn on the cob!!! This looks just perfect for the 4th and any other summer celebration! Headed over to read that very special blog post now…. Can you serve this cold? 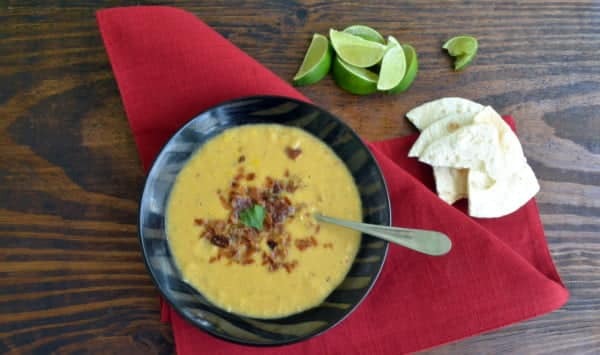 Looking to take a dish to a pot luck and will not be able to keep warm over a long trip… Thanks! Hi Morgan, Sorry for the delay. Yes, you can serve it at room temperature or slightly cooler for sure. Let me know how it turns out for you! This looks fabulous. I’ve made a salad similar to this with the addition of black beans. 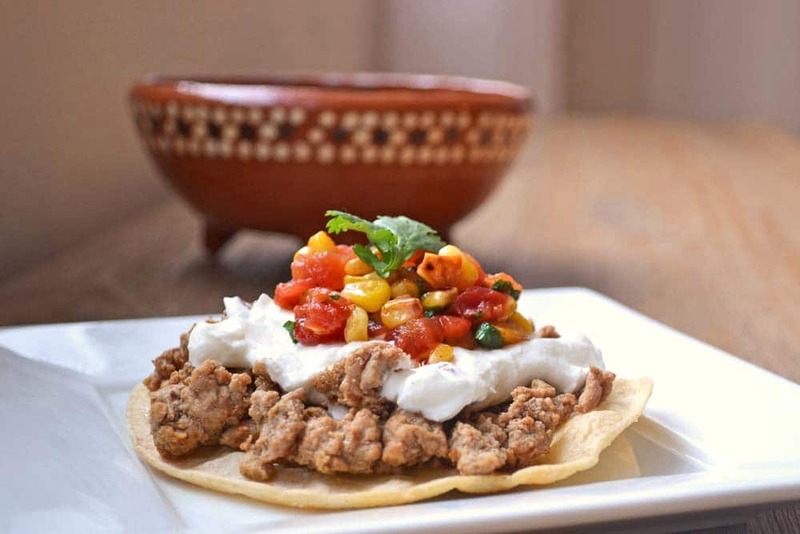 It’s amazing how fresh corn can really make a dish. Love it! Thanks Mikaela! This would be great with black beans too, I think. I honestly do like frozen corn (defrosted). Or at least I always think I do throughout the winter. Then the summer corn arrives and I realize that they are two different species. I know what tomorrow is! I can tell you tomorrow is not when I become the new Mango Mentor :(. That fabulous title has gone to Molly Chester of Organics Park. Oh well. She was pretty awesome. And it turns out all the finalists will be in the official mango-cutting video. Thanks for all your support and the post about me. You’re too amazing. I’m sure she’s a lovely person but we were all rooting for you. Mango-licious! I’m going to do a shout-out on my blog for you (taking the cue from the Mrs. ). Hope it helps. Thanks Jane! I really appreciate that. Voting ends tonight. I have my fingers and my toes crossed. 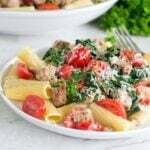 Wow this looks so yummy, the falvours in this dish are oozing! I love the combination of flavours in here. Thanks Raymund! It is a very flavorful dish. Just this morning at the farmer’s market, my friend asked if I like corn. I said, “yeah,” but when I tried to think of a recipe I drew a blank. But not anymore. Maybe you drew a blank because plain old corn on the cob with butter and salt is so darned good. I have several corn recipes but when I bring home sweet cobs I almost always stick to those tasty basics. 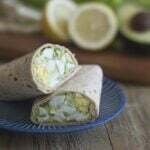 If you do try this recipe, let me know how you like it. cream cheese and butter … will have to try this one. great photography! off to check out the FB thingy … cheers! Thanks Steve! I think the corn would make a great side dish for your wondrous beer and maple brisket. Thanks for going to FB to vote :). Great! If you try it, let me know what you think. Uh, there was some funky fake html in that comment about wailing…but looks like it was close enough to the real thing to get rendered as such. If your computer starts wailing, it’s because I commanded it to. With my made up HTML. Laughing now. No wails here though. You, and your mango-jango-ness, are all over The Mrs today. It’s a Christine-fest, if you will. WHY can’t I have a kitchen in my office? It’s complete awesome awesomeness. I love your post and the publicity you’re giving me. Thank you thank you thank you. And it was just so darned sweet, I cried. Readers, if you haven’t seen it, head to http://www.themrs.ca/2011/06/we-interrupt-this-blog.html to check out the post that my wonderful blogger-friend has written.